Fig. 4. 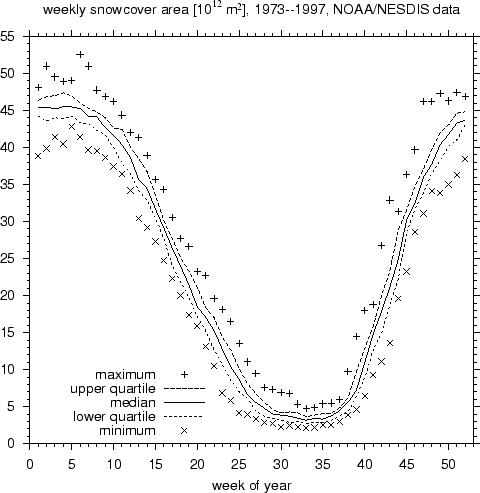 Order statistics (maximum, minimum, median and quartiles) of weekly total snow cover area over the northern hemisphere (in 1012m2).